Hyderabad Mar 15: Titles running into trouble for various reasons is not a new thing in Tamil cinema. But this time around it is a bit strange when two different production companies announced their films featuring two different stars on the same day with the same title. The title in a spot of bother is Hero and the two heroes who play the lead protagonists are Sivakarthikeyan and Vijay Devarakonda. 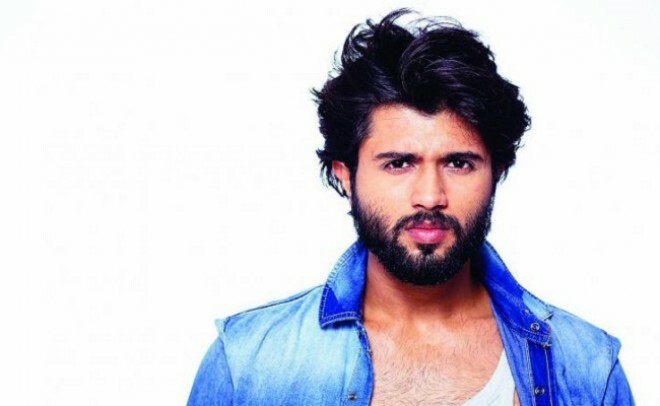 Mythri Movie Makers banner recently announced Vijay Devarakonda’s next film with the title Hero with Anand Annamalai who wrote the dialogues for award-winning Kakka Muttai and screenplay for Kuttrame Dhandanai along with Manikandan making his debut as the director. The film is to be made simultaneously in Telugu, Tamil, Kannada and Malayalam. It is touted to be a sports drama where Vijay plays a professional bike racer. Malavika Mohanan who was recently seen in Rajini’s Petta essaying Devarakonda's pair. Interestingly, on the same day, KJR Studios also announced their next with the same title Hero with Sivakarthikeyan playing the lead and directed by PS Mithran. Kalyani Priyadarshan will be seen as Siva’s romantic interest. This has sparked a controversy. Anand Annamalai asserts, "I registered the title Hero in Tamil Film Producers Council on July 4, 2017 even as I started writing my script in my production company called Tribal Arts which I started along with Manikandan. Subsequently, I have renewed it on June 14, 2018 with TFPC and received a receipt saying that our rights over the title are valid until June 14, 2019. My new producers have also registered it with Telugu Film Producers Association and being a multi-lingual project, I cannot have different titles for different languages. So, the Hero title belongs to us." Kotapadi Rajesh, the producer of Sivakarthikeyan's film, too, is particular about retaining the title Hero. He says he has the letter of approval from TFPC registering the title Hero. It is learned that Rajesh bought the title a few days ago from composer turned producer SS Kumaran who was holding the title rights of Hero. With both the production houses having valid documents, it looks like there has been some sort of miscommunication at TFPC.